No. 3 Mount St. Joseph has had more than its share of heart-break against Calvert Hall in football, but the Gaels claimed their first win over the Cardinals since 2009, Friday night, behind a monster performance from senior quarterback Brian Costabile. Costabile produced 405 yards of offense and five touchdowns as the Gaels defeated the Cardinals, 40-27, in Towson. Costabile was 18-for-25 passing for 281 yards and two scores and he rushed 19 times for 124 yards and three scores. St. Joe (7-2, 3-1) is currently tied for second place in the A Conference with McDonogh, a team it beat earlier this year, and the Gaels are still alive for a share of the league title should someone find a way to defeat top-ranked Gilman. The Gaels will close their regular season with two straight home games, next week against Loyola and against Archbishop Spalding in two weeks. 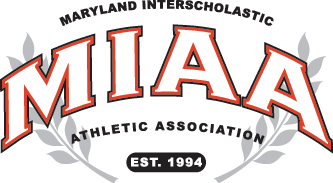 Calvert Hall (3-5, 1-3) will get the next shot at Gilman, next Friday at Calvet Hall. The Cardinals will then host Avalon on Nov. 7 before meeting arch-rival Loyola at M&T Bank Stadium on Thanksgiving morning.